Tandem Trading is pleased to announce that from May 2016 we will have NATURAL DRIED TURKISH FIGS for sale. Available in full pallet lots ie 50ctns x 10kg/pallet. 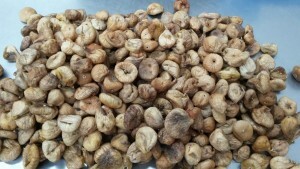 NATURAL DRIED TURKISH FIGS are one of the sweetest fruits available. Moist and succulent; they are 100% figs, with no added sugar or preservatives. They are a delicious snack naturally high in Calcium and Potassium, Magnesium and Phosphorus. Figs are also a good source of both dietary fibres. Tandem Trading is excited to now be able to offer 100% fruit fibres in a range of options. A cherry orchard in Victoria has produced a new and innovative cherry nectar beverage.